How well do you understand the sweeping welfare reforms of the mid-1990s? 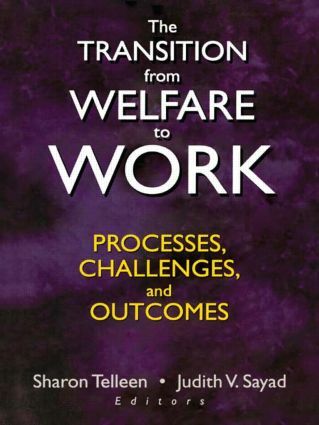 The Transition from Welfare to Work: Processes, Challenges, and Outcomes provides a comprehensive examination of the welfare-to-work initiatives that were undertaken just prior to and following the major reform of United States welfare legislation in 1996. It will familiarize you with the intent of those reforms and show you how those interventions have been implemented. It also explores the barriers to employment that must be overcome by welfare-to-work clients, and the impact of these changes on clients, employers, and society.